Watches in the Fortis Terrestis collection are inspired by designs of the 1930s and ’40s. They are functional, elegant and thoughtfully detailed. The Fortis Orchestra is one style under the Terrestis umbrella, and perhaps the most distinguished of the entire collection. 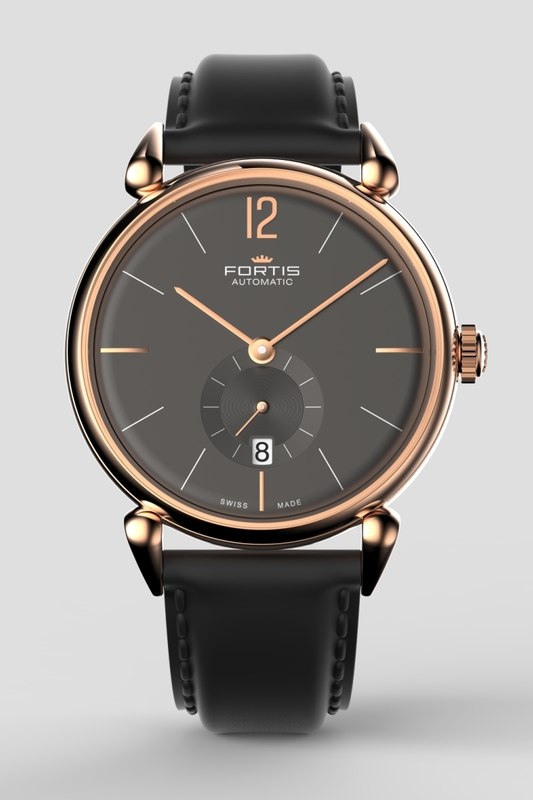 The Orchestra series represents another side of Fortis, a brand famously associated with aeronautics and rugged watches designed for pilots and astronauts. The Orchestra is instead an unabashed dress watch – sophisticated, urban and upscale. Orchestra watches are offered in one of two case metals: stainless steel or 5N rose gold. 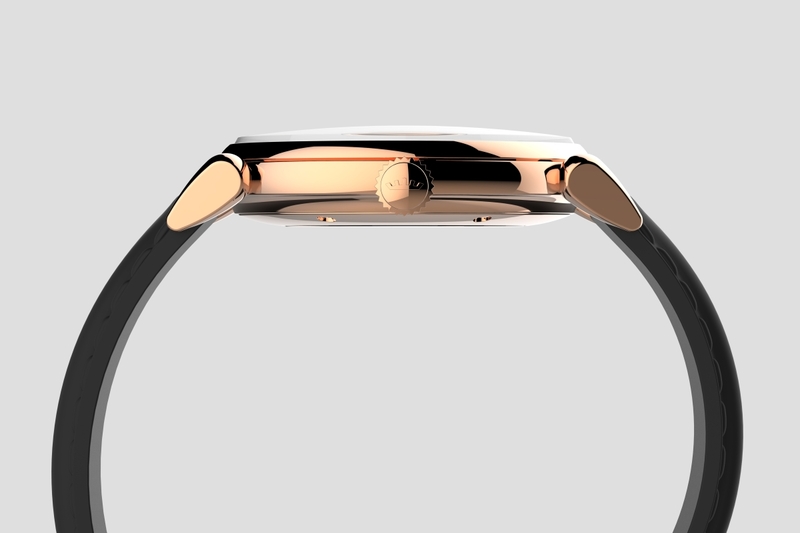 The case itself is 40 mm in diameter and every surface is smooth and polished including the bezel, sides and caseback. Even the interior flange around the dial is mirror-polished, which, in conjunction with the domed edge of the dial and domed sapphire crystal, offers visual dimensionality and complexity typical of watches at a much higher price point. 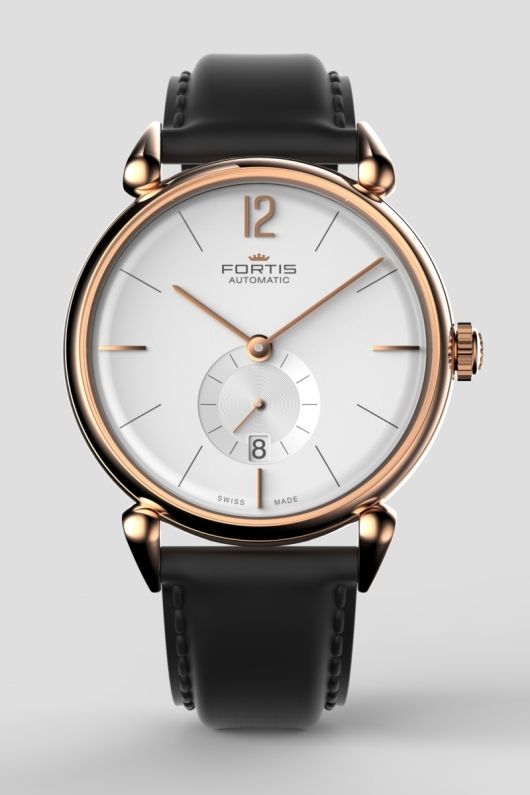 Fortis also added its new smaller and more discreet crown to the Orchestra in keeping with the watch’s refined personality. The Fortis logo is embossed atop. But the most outstanding feature of the case is the droplet-shape lugs – an evocative and graceful link to a bygone era of watchmaking. In addition to their debonair appearance, the lugs are angled down slightly to accommodate the strap and to fit comfortably on the wrist. Six large polished screws secure the Orchestra’s caseback, at the center of which is a glass window to view the movement. 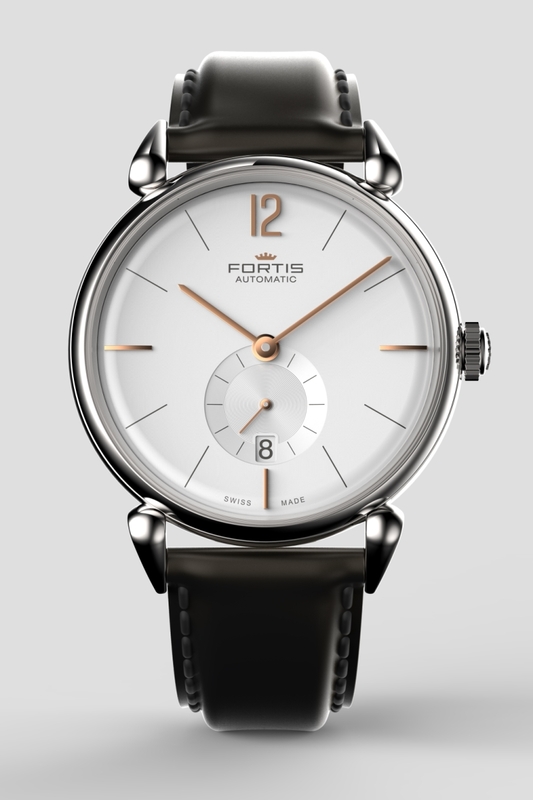 While the watch’s design speaks to Fortis’s early 20th century roots, Orchestra watches are enhanced mechanically by the inclusion of 21st century components, none more important than the Swiss made ETA 2895-2 automatic movement – a proven and reliable engine beating at 28,800 vibrations per hour with a 42 hour power reserve. Two dial variants exist currently: one silver-opaline “a.m.” model and one anthracite “p.m.” model, essentially one white and one black. 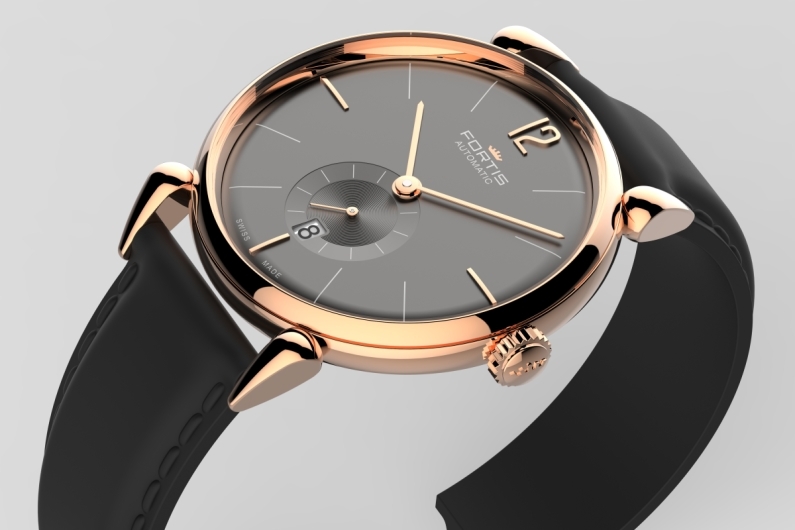 The dial arrangement is luxurious and balanced. Its edge gently domes around the perimeter creating shadow and depth. Minimal text appears. The seconds hand sub-dial, centered vertically above 6 o’clock, is recessed with an engraved pattern of concentric circles. 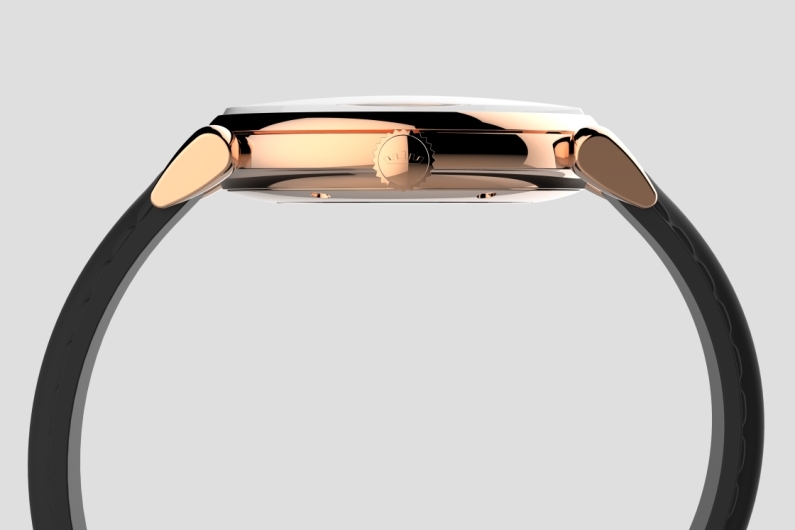 A date window sits neatly at the base of the sub-dial. The raised hour markers at 3, 6, 9 and 12 o’clock, as well as the watch’s three hands all share attributes: they are consistently narrow, without taper and coated with 5N rose gold. In all, the dial is pleasing to the eye and utterly melodious. Every model is available with a choice of leather strap in black or one of two shades of brown, all of which pair well with the lighter hues of the iridescent silver-opaline dial or the dark charcoal shade of anthracite. 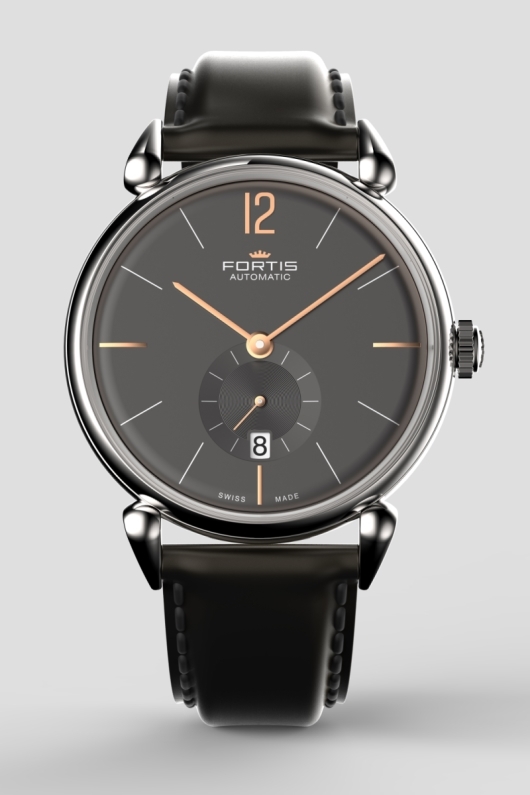 Fortis’s decision to name the watch Orchestra is quite deliberate: the watch, like a great musical orchestra, is composed of exceptional individual elements that together generate something extraordinary. Contact an authorized Fortis dealer today to add this praiseworthy piece to your collection.